Now, a new human clinical study€ by researchers at the University of Illinois, Urbana and published in the FASEB Journal suggests that there could be a mechanistic link between Ambrotose’s prebiotic and cognitive effects. 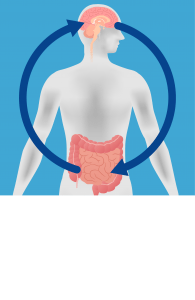 In this study, researchers showed that women with an increased relative abundance of colonic Bacteriodetes exhibited a greater ability to maintain cognitive tasks when under stress. The Illinois scientists made it clear that their study just established an intriguing correlation between gut Bacteriodetes and improved cognitive function. More research is needed before a causal relationship (i.e. that increasing gut Bacteriodetes can actually improve cognitive function) can be established. €This study has no connection with Mannatech and was supported in part by the U.S.D.A. National Institute of Food and Agriculture, Hatch project ILLU-668-902 and Hass Avocado Board. †Some of these studies were at least partially funded by Mannatech. In some cases, this means that Mannatech donated the product that was studied. In other cases, additional funding was provided. 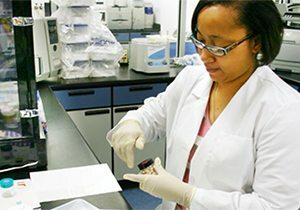 Mannatech’s team of QA, Research and Development and Regulatory Affairs professionals work hard to ensure that our products are of the highest quality and meet country-specific regulatory standards. Because regulatory quality standards are complex and subject to change, it’s essential to have an expert in charge. Long-term Mannatech employee Ms. Sharon McNair, a Certified Quality Auditor (CQA) by the American Society for Quality (ASQ), is up to that responsibility. 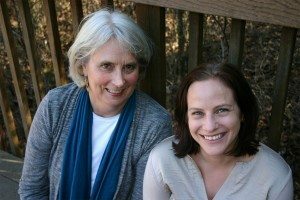 Devoted to keeping abreast of quality regulations and fostering continuing education in the wider quality community, Ms. McNair was elected Secretary of the Dallas ASQ section in December 2016. As Secretary, she maintains minutes for monthly Dallas ASQ general and leadership meetings and serves as a voting representative for the Dallas section of the organization’s world quality group. The 900+ members of the Dallas ASQ section represent a wide-range of industries, including hospital, dietary supplements, foods and drugs, medical devices and the aerospace industry. The concerns of this group encompass quality systems for all areas of corporate functions, including human resources and business systems. Given the diversity of this group, Sharon recently established and now chairs a Dallas ASQ Food, Drugs and Cosmetics Special Interest Group (SIG) so that the specific needs of quality professionals in these areas can more easily be met. Meetings will be held at Mannatech’s corporate headquarters. In this brief video, Sharon McNair, Manager of Quality Assurance at Mannatech, offers a tour of the product testing portion of our laboratory. Mannatech’s laboratory is also well equipped with equipment used for product protyping (sample development) and for basic saccharide research. 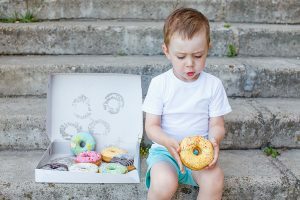 While almost all parents agree that eating habits during childhood will have a lifelong impact on their child’s health, a recent national sample poll conducted by the C.S. Mott Children’s Hospital in Ann Arbor, Michigan revealed that only one-third of parents are confident that they are doing a good job in shaping their child’s eating habits. Parents reported a number of challenges. About 25% say that healthy food is not available where they shop. 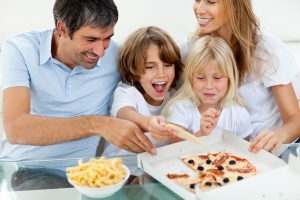 While most parents recognize the importance of known strategies to promote a healthy diet for their children, roughly 20% say it is somewhat/not important to limit junk food, to limit fast food, and to have children learn to eat different foods; 16% believe it is somewhat/not important to limit sugary drinks, and 13% say it is somewhat/not important that their child eat fruits and vegetables every day. 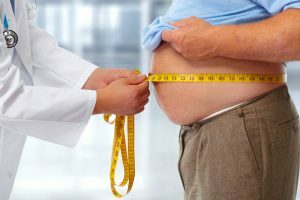 A growing number of scientists and healthcare experts have been challenging the paradigm of using body weight or body mass index (BMI) as a measure of an individual’s health status. In brief, at issue is the problem that body weight or BMI can falsely identify individuals who are more muscular as obese and falsely identify people with low muscle mass and excess fat mass as normal. Such classification errors are not just an inconvenience, they can then contribute to false perceptions of health for at-risk individuals and their healthcare providers. A better measure is body composition, which takes into account an individual’s lean and fat mass. But, say researchers from Australia and New Zealand in a recent publication in the journal Frontiers in Public Health, better language is also needed to help improve a person’s understanding of their situation. Their suggested terminology is simple: people are underfat, have normal body fat, or are overfat. Applying these designations, the authors estimate that a whopping 62-76% of the world’s population (4.5-5.5 billion people) is overfat and only 14-28% have normal body fat. Maffetone PB, Rivera-Dominguez I, Laursen PB. Overfat and Underfat: New Terms and Definitions Long Overdue. Front Public Health 2016;4:279. According to the American Heart Association’s (AHA) recently published Scientific Statement on metrics needed for children to enjoy cardiovascular health throughout their lives, U.S. children are faring poorly. The AHA focused on seven key metrics that influence lifetime cardiovascular health: diet, exercise, body mass index (BMI), cholesterol, blood pressure, blood glucose and smoking status. While there were concerns with how children are faring today regarding many of these metrics, particularly BMI and smoking, the data on children’s diets was the most alarming. A shocking less than 0.5% of children are consuming a healthy diet rich in fresh fruits, vegetables, fish, whole grains and heart-healthy fats, and low in sodium and sugar-laden foods and drinks. About 91% of U.S. children were classified as having a poor diet. This study should serve as a wake-up call to American parents concerned about the long-term health of their children. Steinberger, J., Daniels, S.R., Hagberg, N., et al. Cardiovascular Health Promotion in Children: Challenges and Opportunities for 2020 and Beyond: A Scientific Statement From the American Heart Association. Circulation 2016; 134(12): e236-e255. Mannatech has assembled a group of top-tier, independent scientists from around the world to lead its Global Scientific Advisory Board (GSAB), a group that will support the company’s commitment to providing science-backed nutritional supplements to its worldwide customer base. 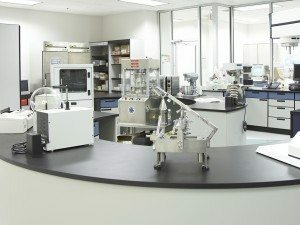 Mannatech’s GSAB will provide their insights and expertise to help Mannatech continue to develop outstanding new products or refine existing products to ensure that ingredients and formulations are up to pre-determined standards and are in line with the latest, viable research. GSAB members may also be called upon to provide education and training to consumers on health and wellness topics. Mannatech’s Senior Global Wellness Director, Dr. Steve Nugent, serves as Chairman of the Global Scientific Advisory Board. Dr. Rolando Maddela, Mannatech’s Director of Clinical Research and Scientific Affairs serves as the GSAB Executive Secretary and Mr. Tait Switzer, Vice President of Research and Development will provide additional support. Biographies of GSAB members are provided on the Scientific Board page of this website. About six years ago Mannatec h realized that, to facilitate scientific understanding of the effect of dietary polysaccharides on the immune system, there was a pressing need to consolidate and describe the existing immunologic oral polysaccharide literature. Always ready for a challenge, Mannatech scientists decided to take on the task, and their systematic literature review was published in Nutrition Journal in November of 2010. This review has indeed been of great interest to researchers around the globe who are striving to better understand these complex and often potent natural molecules derived from plants and fungi. In fact, Mannatech recently celebrated a significant milestone for this literature review: the article has been cited in over 100 research publications! In honor of the relaunch of our fresh new website, Mannatech’s R&D team decided to offer up a simple, clean serving of glyconutritional education: “Glyconutritionals Revisited”. We’ve come a long way since our first Ambrotose product was launched almost twenty years ago! This two-page article is also posted on all Ambrotose product pages. 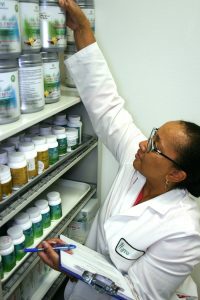 Mannatech has been steadfast in its commitment to producing the highest quality scientifically validated products that meet country-specific regulatory standards. Working behind the scenes for over 12 years to help make this happen is Ms. Sharon McNair, Mannatech’s Quality Assurance Manager. An important component of Ms. McNair’s responsibilities is staying abreast of ever-changing Quality regulations. The American Society for Quality (ASQ) is an outstanding resource for Quality professionals serving diverse industries who seek continuing education and productive interactions with industry peers. At the ASQ World Conference on Quality and Improvement in early May 2015, Sharon asked that a Dallas-area regional special interest group (SIG) be formed so that Quality Food, Drug, Supplements and Cosmetics professionals could meet and discuss issues relevant to their industries. Approval was provided in June 2015 and Ms. McNair agreed to serve as the inaugural chair of the SIG. During SIG meetings, held monthly at Mannatech’s corporate headquarters in Coppell, industry members share their knowledge and experiences in implementing Quality procedures that enable them to comply with federal and state regulations. As a Dallas ASQ section team member, Sharon also proctors quality professional’s certification examinations. More information about Mannatech’s commitment to quality products can be found here.